It was April when I woke and knew something had changed. I lay in bed and felt it in every inch of my body. It was impossible to explain – there were no signs, no sickness, I just knew. It was two weeks till my new solo show opened in London on my 39th birthday and a handful of days since I’d returned from the chaos of lecturing on Wonderland for Nikon in the UK and the Netherlands. I had been living life at a hundred miles an hour, was stressed beyond words and suddenly a strange awareness crept through me as I sat in the kitchen and ate my breakfast in silence …. hand on stomach. I walked around the house in the early morning light, a voice in my head repeated the words ‘I’m pregnant’ over and over as I paced the floor. My eyes settled on the one faded photo I have of my mother on the mantelpiece and deep down in my heart I knew it was true. Two hours later my husband Matt and I sat nervously counting the months on our fingers, a positive pregnancy test lay between us on the table. Still stunned we made mistakes about the dates ‘February, no January’… then suddenly …. ‘December’ he said slowly as our eyes widened knowing full well what it meant. 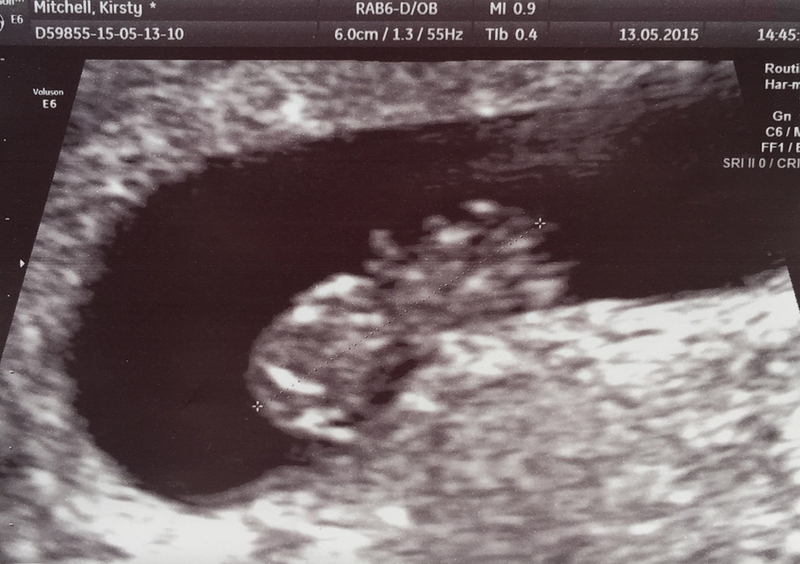 Two days later it was confirmed, our first child, my beautiful unexpected little boy would be delivered at the same time as the Wonderland book – the timing was beyond belief. After 6 years of producing the series, in the very same moment that I would say goodbye to my mother, I would become one myself – a full circle of life, loss and love completed. I couldn’t have made it up if I’d tried. Back then, to be honest nothing felt real, the London show opened and as usual my life was turned upside down as I rushed between interviews, meetings and even two live television appearances. I made nervous jokes to avoid the offers of wine at my gallery private view and constantly questioned myself over whether it was all just my imagination. It was only when a few days later, after the blood had appeared that reality sunk in and we found ourselves in the hospital holding hands trying not to cry. I was called into the small dark room and asked to lie down and be still, they said they would switch off the monitors and the sound so I wouldn’t have to see the baby which by this point I was so sure I had lost. I lay on the hard bed and thought of mum, desperate to leave and convinced of the inevitable looming news. But then the sudden echo of a heart beat rang out as the the sonographer laughed exclaiming ‘my goodness you have a strong little one here’! 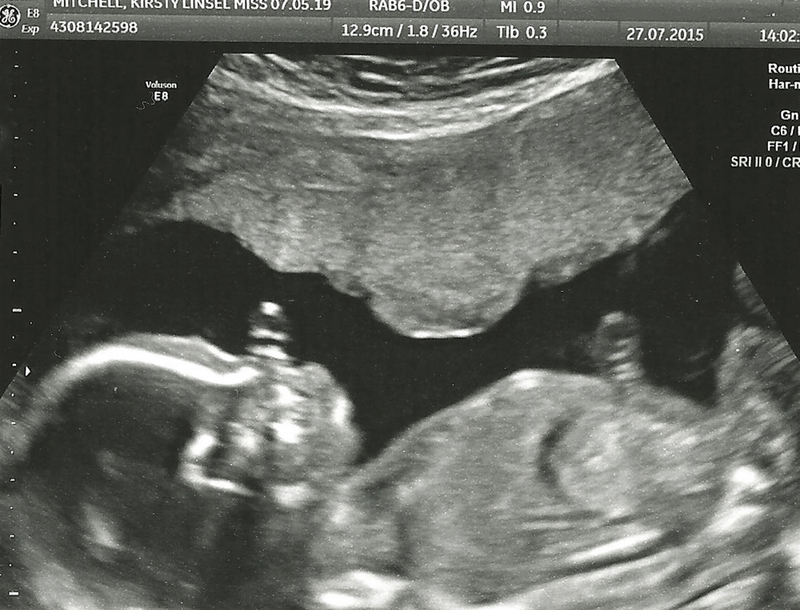 The overhead monitors were switched on and as my eyes adjusted, I blinked at the screen in disbelief – there he was, my tiny 8 week old blip, clinging on with the heart of an ox, booming in my ears. So the weeks passed and our little secret bloomed. After all that had happened I choose to keep him quiet and precious. It is hard to explain why, I never expected this to be my reaction, but in a world where every moment is shared, posted, tweeted, photographed and publicly announced, I suddenly felt the need for the opposite. As we walked in the woods over the summer Matt and I would sit on the hills and take little personal pictures, talk about how unprepared and amazed we were, how life would change and what would we call him… it just felt right. After the London show closed, work on the Wonderland book began in earnest and life once again gathered speed at an alarming rate. The weeks turned into months as I worked around the clock preparing all the material and had meetings with our designer Stuart in London. Time slipped by as my body changed and swelled and suddenly deadlines became frighteningly real. By August the pressure was immense as we filmed the Kickstarter campaign and I hid my bump under papers and pictures. I decided I didn’t want to detract from the fact that the book was for my mother and that instead I would tell people my happy news once the dust had settled and the campaign was launched. Each week my midwife would visit and each week I would apologise I hadn’t read the latest book she had given me. The few people who knew kept telling me to rest, but we were now on a runaway train that could not be stopped, the book and baby were the same deadline and neither could wait. So we carried on until finally October arrived and I found myself on a plane to Italy at 33 weeks pregnant, for one of the hardest weeks of my working life. Everyone had been so worried about how I would cope in the factory, but after years of the book being a constant dream nothing was going to stop me giving everything I physically had while I was there. 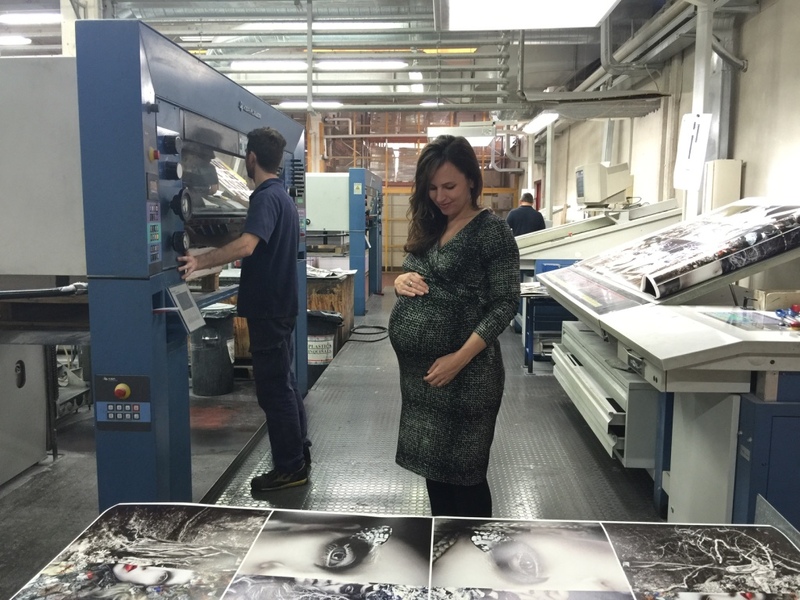 ‘Pregnant powerhouse’ became my pet name for the week as I waddled around the factory pushing everyone to their limits, testing and re-testing images, working from 8am – 3am on the production checks. We even set up a blow up bed on the floor of the factory office so I could take rests when needed, but mostly the hours just flew by with each new challenge. The factory workers pointed at my stomach with concerned bulging eyes asking ‘how long’ ? ‘When is baby coming?!!”. In restaurants people stared and my designer constantly asked ‘why wasn’t I tired ?’, when it was 1am and he was burnt out from the days work. So now it is November 26th, I am 37.5 weeks pregnant and this morning a birthing pool was delivered by my midwife for the home birth I have set my hopes on. Since losing mum hospitals frighten me, I do not see them as places of reassurance, they fill me with bad memories and mistrust. So I wanted to make this experience as comfortable and personal as possible, surrounded by the people I love where I feel my happiest. I never imagined how hard this year would be, the experience of living these two huge moments in my life in parallel has been beyond anything I have ever experienced before. I knew the book would be tough and I had no romantic preconceptions about pregnancy either – I knew it would be extremely demanding. But the combination of the two has been unlike anything I could have predicted. I felt I had reached my limit in August, so to keep on relentlessly pushing, to keep working, to carry on for so long knowing there simply wasn’t any opportunity to stop in all this time has been incredibly hard. But as I write these words I cannot help but marvel as my stomach stretches and shifts under my laptop as my little boy wakes inside of me and everything suddenly has new meaning and worth. In all honesty I never knew if I would be able to make the Wonderland book a reality and for a few years I had secretly worried if I’d left becoming a mother too late in life. After I lost mum at the age of 32 life’s big decisions seemed so impossible without her around to share in them, that I guess I blocked them out. The years slipped by and maybe I was in denial I’m not sure, but then in this one unexpected moment two dreams have fused and I’ve found myself on a path a year ago I couldn’t have imagined. In less than 3 weeks my son will be in my arms and the book will be delivered into the hands of so many of you all over the world. I will admit I am completely unprepared, I wish my days were filled with knitting baby booties in a freshly painted nursery – instead of the pile of unopened boxes of baby equipment and donations of sleep suits from sympathetic friends that currently fill my spare room. But as I look at the rough bound copy of the Wonderland book that sits beside my bed, I know this is who I truly am. When I need confidence in the sacrifices I have had to make, I sit and turn the pages and read the words of the diary to my bump – 6 years of friendship, chaos, blood, sweat and tears. I imagine how it will be when I am able to show my little boy all the crazy things his silly mummy went through to take her pictures. How he’ll laugh at the behind the scenes photos the way I do now, and when he is older how he will read the words I wrote about him on the very last page – whilst he still grew inside of me. The photo I started this entry with I have called ‘Full Circle’ – it is just a simple moment, not the grander image I had originally hoped to make. It was taken a handful full of hours before we had to rush to Italy when I was 33 weeks pregnant. It is the first proper self portrait I have taken of myself since before my mother passed away. Since losing her I am now a much more private person, nervous of my body and appearance – a far cry from the girl who began her photography career by taking self portraits on Flickr all those years ago. If it wasn’t for the book I doubt I would have forced myself to drive to the woods that cold October afternoon – but I knew I would regret it forever if I didn’t capture this one extraordinary moment in my life. The day I saw the photo printed in the factory I cried, it was perfect – the last page of the book, an ending and a new beginning all in one moment. So finally here I am, ready to close the book, to breathe and to focus on love instead of work for a little while. I am so excited for the next chapter, not only to experience a completely different stage in my life but to also at last find some balance. I am ready to let go and look forward to new adventures, to create new photographic work with a happy light heart knowing that I have at long last achieved my promise to myself and my mothers memory. Once he is here, I will hold my little boy to my chest and walk him through the woods. I’ll show him the flowers, the lakes, the places I love so dearly and tell him all about his special grandmother Maureen whom he’ll never meet – but who now watches over us both….. Congratulations!!!! Wow what an amazing surprise. I am a Kickstarter donor and can’t wait for the book!!! Congratulations on your baby!!! Hope to meet you one day. Here is the T. S. Eliot quote I used on my son’s birth announcement – dedicated to my departed mother. The day I brought him home from the hospital is the day her certain presence disappeared from within me – her voice said “well done. You will now be fine on your own”. I will never forget her but I don’t hear her like I used to. My sons are exceptional people. The end is where we start from. …. This is so lovely and perfect. Congratulations! No words can adequately convey the sense of wonder that your Wonderland journey has given all of us for whom you’ve graciously shared your news and your journey. Thank you. We are blessed for having been included in your world. You are blessed with all the wonderFULL things happening in your life, so richly deserved. I don’t often feel moved to tears by online blogs and post’s by people that I don’t know, but reading this I could feel a lump in my throat and tears welling in my eyes. It is indeed ‘full Circle’ congratulations, I was an older mum and thought my moment had passed me by, my son is now 16 ! Maybe your next book could be about the Circle of life….. I am a Kickstarter donor too and I am looking forward receiving your book. What a great artist you are and I love your work, hopefully we can meet sometime in the nearby future. The way it goes, that’s all meant to be like this. I think your mom is there besides you in the whole process and protecting you. Congratulations with your pregnancy and that your son will be your light and shining star. Congratulations, Kirsty. Your work has carried me through my own grief and I continue to dream of the kind of artistic transformation of loss that you have created. And I can say, as an artist and the mother of two and a child and family therapist that your self portrait is exactly as it should be. What you and your body are doing right now is the deepest, widest, wildest and most magnificent act of creativity I have ever known. Its simplicity speaks volumes. It wants quietude and a sweet circle of privacy. We long for our beloveds in these moments but know this: how your mother held you and guided you, her loving regard, these things are now within you and will come forth as you hold and guide and love your baby with his mighty heart. Blessings to you and yours and thank you for what you have already brought into our world. thanks for sharing your story. I have a very similar one and is good to see you being so positive and creative. After 15 years working for DER SPIEGEL I admitted to myself to be the artist, other people have always seen in me. So I am a freelance costumist right now for 2 years (I won the int. prize for “Best costume of the Venetian Carnival” in the years 2007, 2008, 2009 & 2015), struggleing with all what you have been through as an artist. I just worked like crazy on my first exhibition in a 17th century palace near Venice, Italy, and at the last moment the project crashed and does not take place now. Almost everything ready and now I’ll have to wait some more. But that is minor details. More important: I had to let go of my little unborn son Matteo 2009 in the sixth month of pregnancy. I was in hell. But my daughter, husband and art helped me to survive that all. And last sunday my second, beautiful, wonderful son Raphael (who never would have been born without the loss of Matteo) had his 4th birthday. Took us long to get pregnant again. The pregancy was hard and at the end the doctor made a mistake and I had to stay in bed for 2 months to save Raphael. But at the end both my kids are healthy and wonderful. For next Carnevale in Venice Raffi will wear his first costume – Bob the Builder (who you will get to know in a few years for sure, having a boy) in 18th century style!!! And Sophia, my almost 9 years old comes to my atelier ans asks me now to teach her how to make her own costumes 18th century style. I have so much fun with my kids and only feel complete now that I have them (and I never planned to have children before). And they are my biggest inspiration (when I tuck Raffi into bed and cuddle with him ideas just float my mind). I wish you all the best. Your life will not be the same with a child. In many ways much more wonderful, in others terrifying cause your life as a self ruled person will end for some years and to find time for art will be a challenge…but I have full trust in your powerhouse skills (I know that from somewhere….). Take a breath, relax a bit cause you won’t get much sleep during the next years and enjoy what is coming! Life is great! He is going to be such a happy boy having a beautiful creative mum like you, and so loved. Wishing your new little family all the love and sparkle in the world. Sobbing here Kirsty and writing this through tears. Bloody brilliant, you couldn’t make it up. I am so, so happy for you. If I had your address, I’d be sending one of my weird baby handknits. If you want one, just e-mail me. Oh my goodness! Congratulations! I can’t imagine how you must feel to have so much happening this year. I am looking forward to getting the book more than I can say. There is something so perfect about the synchronicity of this all. So wonderful . Beautiful news. I am a huge believer in the Fates and how life twists and turns and somehow puts us exactly where we should be. This is one of those moments and I’m delighted for you. I also hold a firm belief that those we love who have passed over to the Summerlands do watch over us from time to time and I’m sure your lovely Mum will see it all and be proud! I look forward to receiving my copy of Wonderland and what has to be the most amazing project ever. Everything happens for a reason – I am such a believer in this phrase. “Wonderland” couldn’t be a more fitting name for your Rite of Passage Kirsty. Wishing you love, health and great joy! Stay well beautiful girl and thank you for sharing your story so tenderly. It was 2007 but I still think of my father throughout every day and I find (unexpectedly) your shared grief a real comfort. Congratulations on the imminent arrival of your son. He will change your life forever! Your diary is so inspiring and touching it fills me with joy and hope to know there are people like you out there. I’d not donated to a Kickstarter project before but had kept an eye open for interesting ideas. As soon as I saw your fantastic pictures I knew I should donate to hopefully help your work get the exposure it deserves. I plan on giving my copy to my eldest daughter to keep and treasure. She is eight. I’ve tried to instill in her an appreciation and wonder in the beauty of nature. With this book, I hope she will see that people can make truly beautiful things, too. What a wonderful gift to share with us all this Thanksgiving Day here in America. My husband & I are in tears over your beautifully expressed journey. You have such an amazing gift in your photography and also in your words. You have taken us with you and we are so appreciative. You have enabled us to walk in your shoes through the pain, the fear, the healing and the joy. We wish you continued success and a life full of the abundance of love you so richly deserve. Thank you for sharing! This confluence is not a coincidence…you are doubly blessed. Congratulations. I too am expecting my first baby, a girl, any day now. In that sense, I know exactly how you feel. I wish you and your soon to arrive baby boy all the best! Oh God, I am very rarely moved to tears, but am in floods right now! Congratulations! So much respect for your choice to make your pregnancy private in the wake of such a public campaign. I am so happy I chose to support your kickstarter campaign and I can not wait to get the book in hand. Beautiful images of you in the field. Your mom would be so proud of you. Wishing you all the best in your delivery and motherhood. Lots of love. Kirsty, so thrilled for you and your husband! And so looking forward to sharing in the joy of your book coming out. flat out bawling, and laughing at the same time. miraculous! wonderful! precious. what joy you have brought to us today, thanksgiving day here in the states. THANK YOU for sharing your most personal news with us who have so long followed your journey. i am honored to be included. xo! Wow Kirsty, what a fab surprise. I am so pleased for you and your hubby. Congratulations to you both. Thank you for sharing this wonderful moment with us. You are truly Blessed. Bless your amazing heart Kirsty, such a moving and beautiful sharing. You’re work has so inspired me to create again, it brings me to tears. I can’t wait to hold you’re incredible book, when I do I will think of you holding you’re sweet little son. Thank you for sharing you’re precious gifts and talents with the world. Wow! Especially poignant story as a midwife about to receive your book for Christmas. Have a wonderful home birth. Looking forward to hearing your news. Congratulations! Congratulations on your wonderful new! I know you will cherish your son as much as you do the memories of your mother. She will be there with you always watching over you both as your life journey continues to get more and more amazing. I know you will love and enjoy this next chapter in your life. I cried – I really cried reading this, it was written from the heart and it really touched me. Just as you finished one project for your mum, she gave you another – a very important one and one that like the book, leaves a legacy! I am so pleased for you both, wow., this is amazing news. Had a little tear for you while reading this as it made me so happy to see and know this is happening for you and gone “full circle.” I will look forward to hopefully seeing some beautiful photography of your little boy one day. Cannot wait to receive the Wonderland book. Wishing you both every happiness parenthood brings…enjoy every moment, it’s awesome. and a wonderful end to Wonderland.. and just a beginning of another Wonderland ;-). I will be full of new adventures, wonderful stories and tales. May everything what you wish for you and your family become true. again after half a century which I didn’t shot anything. As I was reading your words, I was smiling and feeling happy for your new journey. Then you said your mums name and I couldn’t hold back a tear. I lost my mum, Maureen, when I was 9weeks pregnant with my second child, Liam. I never imagined not having her here to share my journey of parenthood. She was such a loving mother and grandma. All the best with your next chapter. I know in my heart, our mums are watching down on us with pride. Take care. A perfect full-circle…a perfect end/beginning.. you shall now begin to understand your mother even more than you did before. Another gift, this insight. It is only when we become a mother that we truly see our own parent in a new light. And the giving that you shall do for your child will be equal to the learning that he will give you in return. There are whole new parts of yourself that will be revealed. So much love and joy and laughter in your future…as well as incredible challenges. I think you are more than ready for this new project. I wish for you a future that will be a Wonderland every day. Blessings to you. What a beautiful story, and what beauty you create, in your work and your life. Blessings and best wishes to you and your family! What a magical world we live in. Kirsty, although we have never met I am over the moon happy for you! As one adventure ends another one begins. That’s exactly as it should be and I’m sure your Mum was guiding both processes. Motherhood is the truly best thing I feel I have ever done. It is a wonderful gift. I know I don’t have to tell you to soak up every second. Congratulations to your family! And what has been a most extraordinary journey this past year, is all just preparation for the biggest role you’ll become immensed in for the rest of your life, the honor and privilege of becoming a mother. To witness your heart outside of your body, in wonder and excitement and sometimes exasperation. When he stares into your eyes, when his chubby little fingers touch your face, and when he snuggles contently against your heart, you will experience unconditional love, and fall in love with him over and over, with your heart overflowing and most of all… you will finally understand how much your mother loves you, and how extremely proud of you she is. And I will share your story and your strengths and wonders with my boys, showing them that truly anything they set their mind to is achievable with hard work and an unwillingness to ever be defeated. I wish you much joy and happiness in your years to come. What a wonderful diary entry. Such a beautiful story. I’ve being following your art for a long time and I was so fortunate to see your Wonderland exhibition at the Grace Belgravia London. I don’t live in England, and it was my last day in London before going home. So I rushed to see it and hoped it was open to the public, which it was (YAY). It was also the last day of the exhibition so I was even more fortunate to see it. Your exhibition was so magical and the atmosphere and the surroundings was perfect. I could have stayed there for hours looking at your art. When it comes to viewing art/images on a digital media vs. print I think there is a big difference. It can look really nice on a digital media, but when you see it in print the magic is somehow gone. There’s no breathing or life in the art/images and they suddenly look dull and meaningless. But your images contained so much life and I felt like they all wanted to tell me their stories. And I wanted to hear them all. I hope I get to see more of your art in real life again. And your book is going to be so magical and full of life because it’s your artwork and you are breathing life and magic to it. Kind regards and blessings to you and your family. I am in tears at your wonderful news and your touching words. I wish you a swift, peaceful and healthy labor. To birth your dream project and your first child simultaneously…wow! I eagerly await the moment when I am holding your amazing book in my hands. I wish you as much joy as your photos have given me. Congratulations! I can think of no better way for your journey to end than with a precious baby in your arms. What a joyful journey you have ahead. All Blessings and Light to you, your husband and your little one soon to be here. Oh, Kirsty, I’m so very happy for you. What an incredible blessing. This are great news, Congratulations Kirsty. Thank you sharing with us your journey and this amazing blessing, it’s been an honor and an inspiration to be part of it. Kirsty, I am almost speechless. I am so amazed at your strength and courage. I am so proud of you. Your hard work and dedication to your craft is beyond compare. I am so blessed to “know” you thru The Wonderland Book project. As every day passes I get more anxious to hold it it my hands. I thank you a thousand times for bringing all of us on this journey with you. Sincere Congratulations to you and your husband on the coming birth of your first child!!!! The fact you have worked so hard on the book while pregnant for the first time makes me appreciate all you have done even more! May God continue to bless you Kirsty!! We all love you girl!!!! Lovely read. Teared-up a bit. Felt it deeply. I found out I was pregnant two weeks before I lost my Mom. I think my son growing inside me was the only thing that kept me from losing myself after she died. Your post is so powerful, especially the part of your son never knowing your Mum. None of my three ever had a chance to know the woman I loved so dearly and I can only hope she lives on through me, like yours does for your son. Thank you for sharing your visions with the world.